It appears that we all have endless needs and spending lists and here I am suggesting you put another category on it, an emergency fund. This category is very important and hard to achieve, as by definition, you’re saving money you can’t touch unless there’s a real emergency. 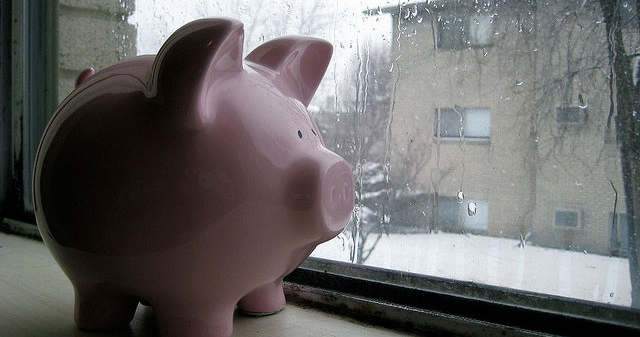 Why is it important to have a rainy day savings account? It is impossible to predict and at times avoid events that trigger financial consequences. Whether it is a medical injury or a natural disaster affecting you or your family members, it is easier to make decisions and find solutions when you have money earmarked for those types of events. You can always pay with a credit card for emergency situations but the interest rates are prohibitively high and you get into debt that may be difficult to get out of. How to grow your emergency fund? Your best way to create an emergency savings account is to develop a habit to save. If you’re not already doing it, you should first learn about your finances. You do that by studying your income sources and spending patterns and drawing appropriate conclusions. Arguably, every individual spends money on non-essential items effectively channeling money that could go to savings account to unnecessary things or services. Step 1: Review your finances – this is where you will learn the most about your money coming in and out. Study carefully all your monthly fixed and variable spending and compare them to your income. Ideally, you spend less than you earn and now the challenge is to find ways to cut some “fat” and be more efficient in managing your money. Think of the areas where you can lower your expenses and the ways to boost your earnings if only by a little bit. Step 2: Set a savings goal – you have to be realistic and honest with yourself. Start small; you can always increase your savings rate if you determine that it’s feasible. Reviewing your financial condition will help you come up with attainable number. Step 3: – Determine when you want to reach your goal and devise a plan on how to get there. If you are building your account from scratch, it may take several months to reach your objective so make sure you can stick to your plan for the entire time and contribute the same amount every week/month. Step 4: Create a separate bank account dedicated only to your emergency funds. This way you will be less tempted to spend that money on something that’s not really an emergency. Step 5: Stay focused – if you have a 24- or 36-month objective, it’s easy to get distracted. Honestly, it’s easy to fall prey to impulse needs even if you set a 3-month goal. Just make sure to put your temporary needs into perspective and determine what is really important for you. Here’s a brief example, put away $25 every week for 6 months. That’s a $600 in your emergency fund at the end of that period and a great start. Saving those $25 per week can come from a combination of sources, i.e. try picking up extra shift at work or look for a part time or seasonal job. Those extra few hours a week could help a lot. Trim services you can live without. Once you reach your goal, follow the 5 steps again. Finally, remember that the same steps can be taken when paying off your debt. Your goal becomes “zero debt” and will be a major step to becoming truly financially independent.